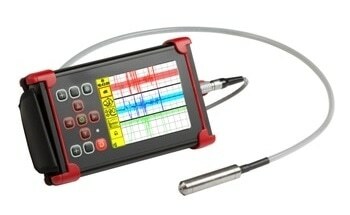 Ether NDE’s WeldCheck Eddy Current (ECT) Flaw Detector series presently appeals to users within a broad range of industries including offshore, rope access non-destructive testing (NDT) applications, and other weld inspection applications replacing Magnetic Particle and Liquid Penetrant Inspection, particularly on coated welds. 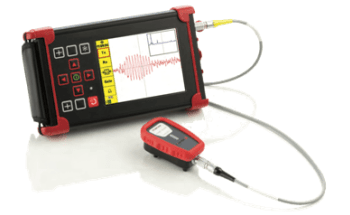 However, as a high specification Eddy current flaw detector, a complete range of other Eddy current inspections can also be carried out. 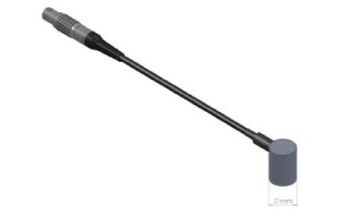 The WeldCheck2 EC Flaw Detector is compact, lightweight, and cased in a strong aluminum alloy Mg Si 0.5 powder-coated outer case, which has rubber end bumpers. 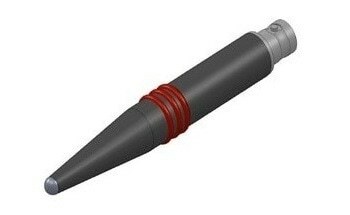 It has been designed keeping in mind the typical end user. 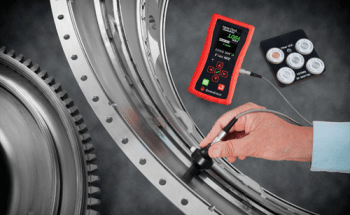 The WeldCheck+ further improves the inspection feature by incorporating dual channel/frequency capability and Automatic Lift-Off Gain Compensation (LOGC) and conductivity measurement. 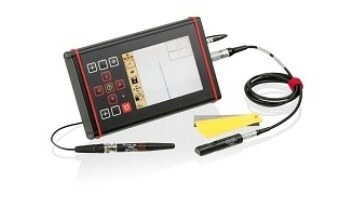 Dual channel for weld inspection entails the Weldprobe concurrently assessing coating thickness and detecting defects (enabling the user to be highly efficient). 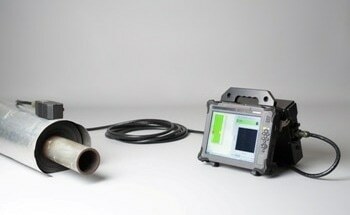 LOGC automatically compensates for coating thickness difference in real time, further enhancing inspection quality. 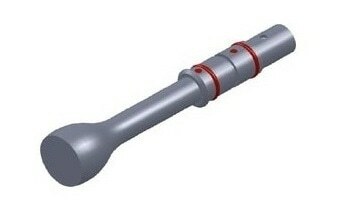 Both the instruments are designed and produced in the United Kingdom by the ETher NDE team and are equipped with industry standard 12-way Lemo and Co-axial Lemo 00 connectors. 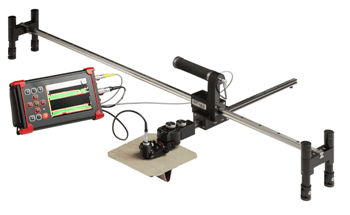 The WeldCheck can use absolute, bridge, and reflection probes without requiring any adapters. 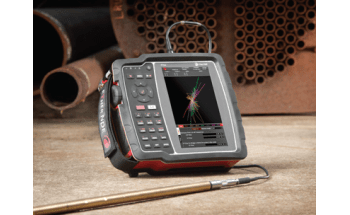 The WeldCheck ET Flaw Detectors provide a crisp, clear daylight viewable screen, menu systems, and user-friendly interface all in a sturdy aluminum housing with protective rubber end bumpers. In the table below, the application type and in which industries users are likely to come across this application are mentioned. 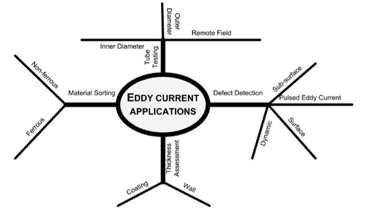 The table then provides the users with information regarding what ETher NDE Eddy Current (ECT) NDT equipment is best suited for their application requirements. ETher NDE understands that the users will use the WeldCheck in all types of weather and light environments and being able to view the screen clearly is a very high priority. 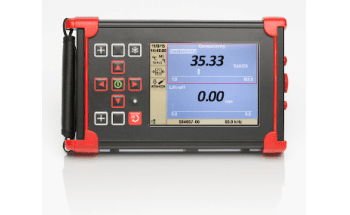 The WeldCheck has a totally daylight readable 5.7"/14.5 cm LCD color screen of 640 x 480 pixels guaranteeing the user has superior signal resolution and presentation regardless of the working conditions. Users can configure their own display types and color schemes. This will enhance their viewing ability of the screen in any light environments. Readings can be viewed in a choice of spot, waterfall, time-base, or meter display types. Works the Way Users Do! The WeldCheck has been engineered with the integral “flip” function that works equally well for right- or left-handed users. As in the case of keyboard or mobile phone usage, a user’s fingers become familiar to repeating patterns of key presses. 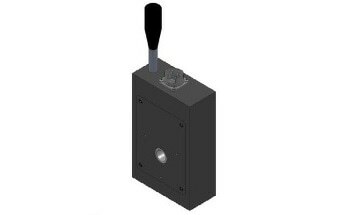 The WeldCheck keypad has been ingeniously designed to manipulate this trait, with all vital keys being in the same position irrespective of whether the instrument is being worked in “left-handed” or “right-handed” mode. 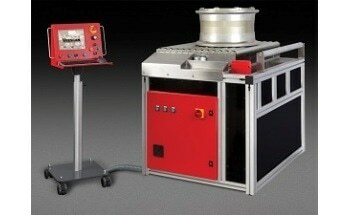 The WeldCheck is lightweight at 1.2 kg (2.7 lbs.) and housed in a sturdy metal casing. 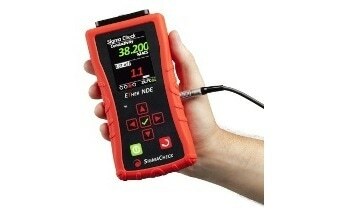 It offers up to 10 hours of battery life, easy-to-navigate menu systems, and excellent EC performance. 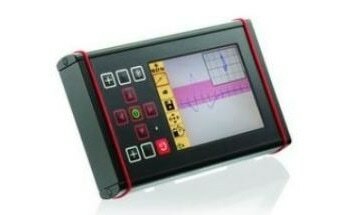 The WeldCheck comprises of a simple “single-level” menu system. Furthermore, any menu item can be incorporated into the “Quick Menu” sidebar with its own easily recognizable Icon, allowing faster alterations during the inspection process. 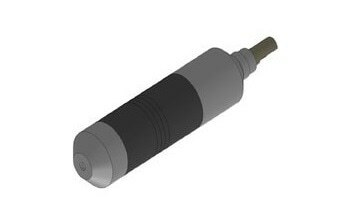 The WeldCheck has been designed with operator-selectable “soft keys.” Each menu item contains its own easily recognizable icon. The four softkey positions for operator selectable icons are for regularly used functions, and a fifth position is provided for the last menu function used. 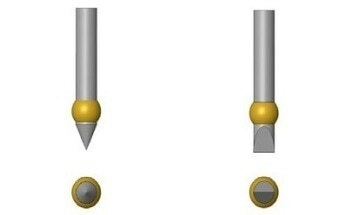 Each saved instrument setting can be related to a unique, one-press set of rapid access operations. 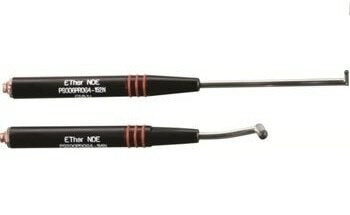 Two front panel hard keys are also present that can also be simply programed for rapid one press access to instrument operations. Innovative “Loop” Feature: “Loop” is an easy way of trapping a live repetitive signal and then enhancing the instrument settings, particularly Phase, Gain, and Filters so as to streamline the task of improving the parameters. “Guides” Feature: “Guides” enables the user to display a slideshow that can be produced easily with widely used desktop software. 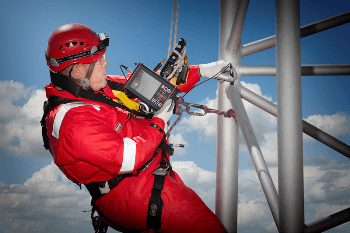 The advantage of this feature is that tutorials, instructions, and procedures for the inspection can be incorporated to the AeroCheck+ very rapidly and the NDT inspector can effortlessly shift between the Inspection itself and the “Guides” while conducting a live test.